We have a little dilemma at the end of each holiday called “What Should We Do with All of Leftover Candy?” Don’t tell my kids, but most times, a good chunk of it gets thrown away. 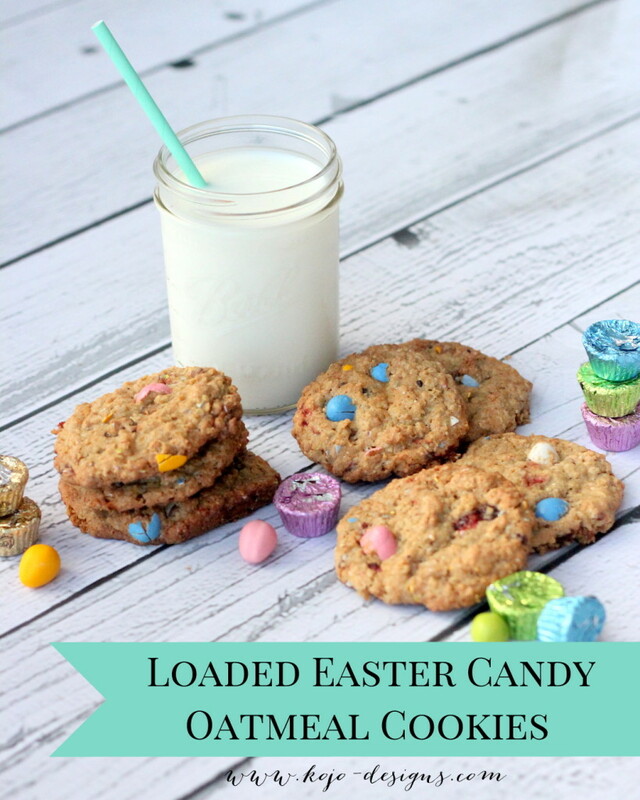 However, after Halloween, I started experimenting with putting the chopped up leftover candy in oatmeal cookies and we all loved the results so much that I made them again with Easter candy. 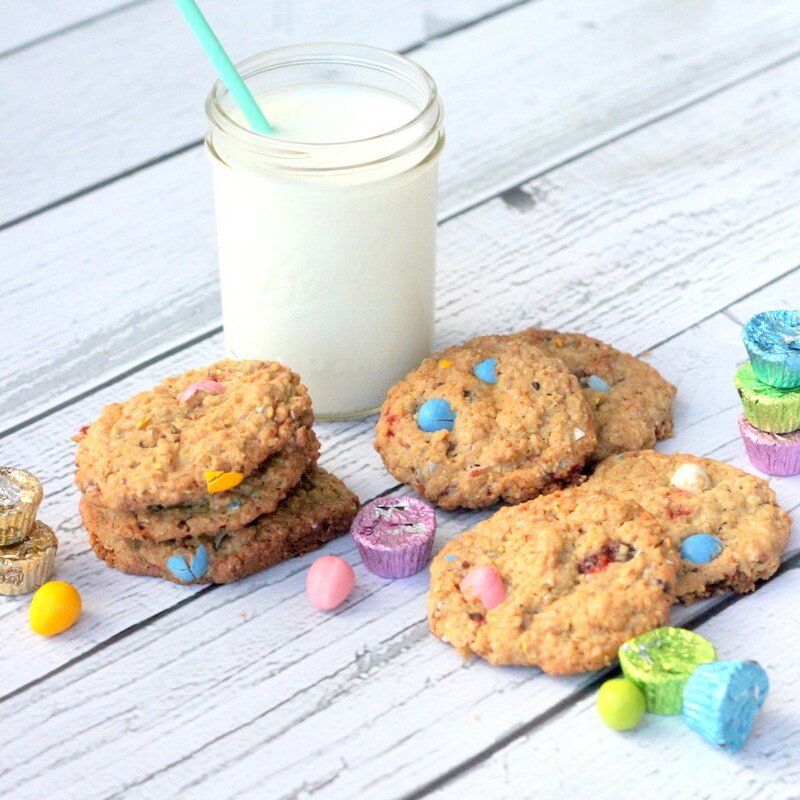 Of course, making cookies with leftover candy does not lower the week long sugar high that we have after Easter (or in this case, the week before Easter). But these oatmeal goodies are YUMMY and they’re a fun treat to share with friends. Cream the butter, sugar and brown sugar until light and fluffy (a couple minutes). Mix in the eggs and vanilla. Add the flour, baking soda, baking powder, and salt and just barely mix (until you can’t see the flour in the batter). 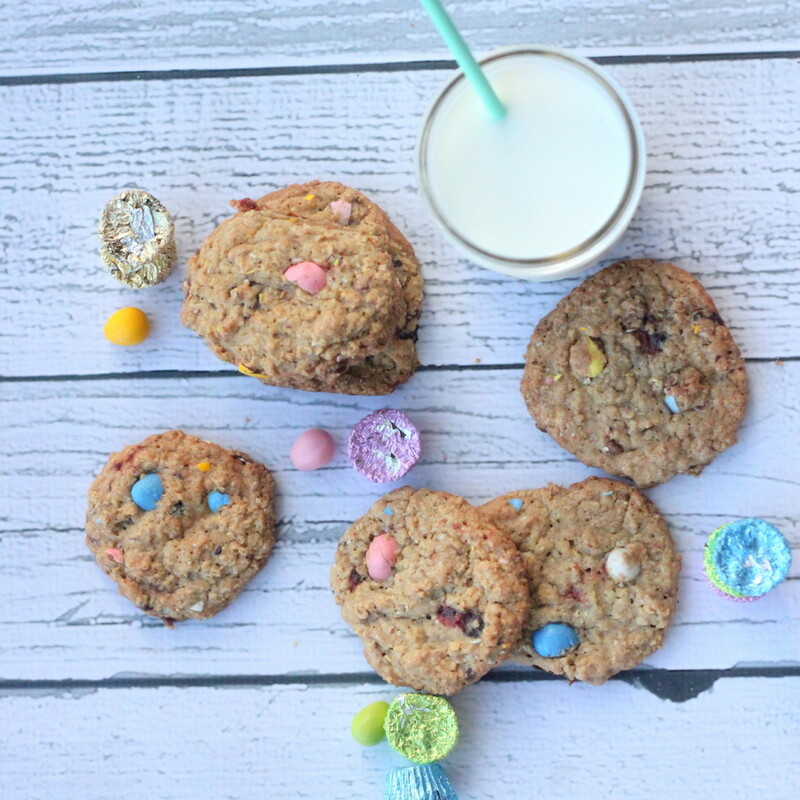 Stir in the oats and Easter candy. Spoon onto a greased baking pan and bake at 350 for 11 minutes. And voila- the perfect Easter treat (aka- one way to use up some of that Easter candy)!